Steve McQueen’s onscreen characters are invariably characterized by icy calm and unequalled cool. The actor was nicknamed “The King of Cool” for a reason. But that reason was much more intricate than just his underplayed charisma and his economy of words. A star image is a construct that has a lot of different moving parts – and different contributors. McQueen’s persona is not just built on his acting technique: it also owes its allure to terse writing, smart wardrobe choices, contrasting casting and well-chosen props. 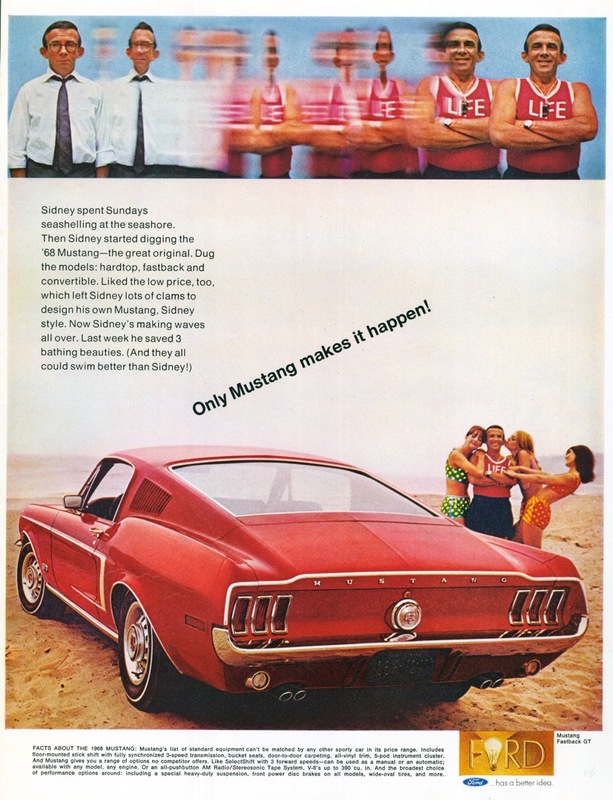 Perhaps the best example of such a prop is the 1968 Ford Mustang GT Fastback that McQueen drives in Bullitt. It’s a car that came fitted with standard machismo, or so the ads would have had us believe. This mash-up video by Peet Gelderblom shows just how easily a star image is deconstructed. Pulling one brick from the carefully constructed wall that is McQueen’s manliness brings the whole facade tumbling down. Gelderblom replaced the iconic muscle car with a, well, somewhat less virile ride. The acting is unchanged and the action is cast in the same mold, yet little remains of Lieutenant Frank Bullitt’s magnetism. You may also know Gelderblom from his side-by-side montage that pitted Hitchcock against De Palma in a Split Screen Bloodbath. His Director’s Cut of Raising Cain was approved by De Palma himself. Bullitt [feature film] Dir. Peter Yates. Solar Productions et al., USA, 1968. 114 mins. Dumb and Dumber [feature film] Dir. Peter and Bobby Farrelly. New Line Cinema et al., USA, 1994. 107 mins. 1975 [digital download] Composer Jos Kirch. Media Right Productions, USA, 2015. 1 mins 55 secs. Blue Break [digital download] Silent Partner, USA, 2015. 3 mins 57 secs.